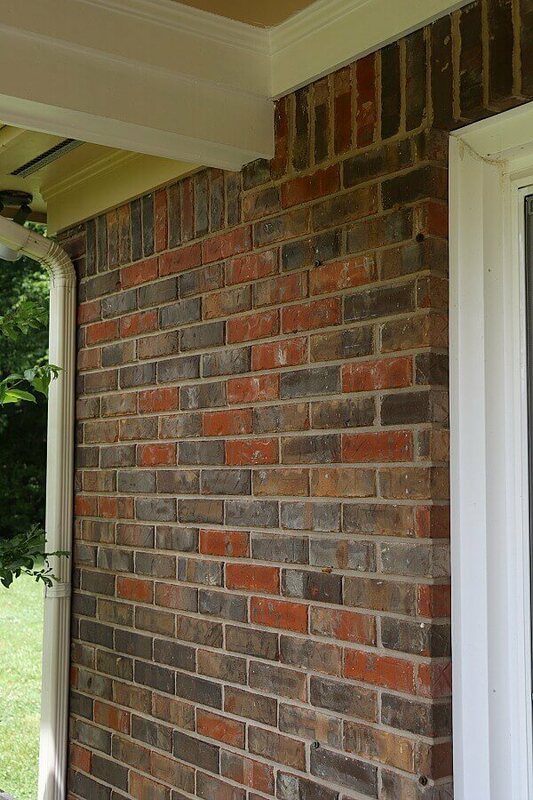 Looking for an easy way to update your brick exterior? 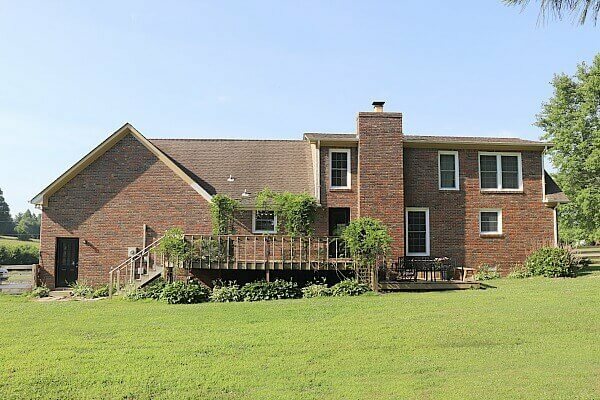 I found an incredible solution and am sharing why we’re limewashing our brick home! A special thanks to Romabio for sponsoring this post. I snapped this pic the day we put an offer in on our home. It was a fixer for sure, complete with Hershey’s kiss shrubs, yellow trim, and orangey brick stamped with leaves and critters footprints. We’ve been here four years, living with this ugly exterior. 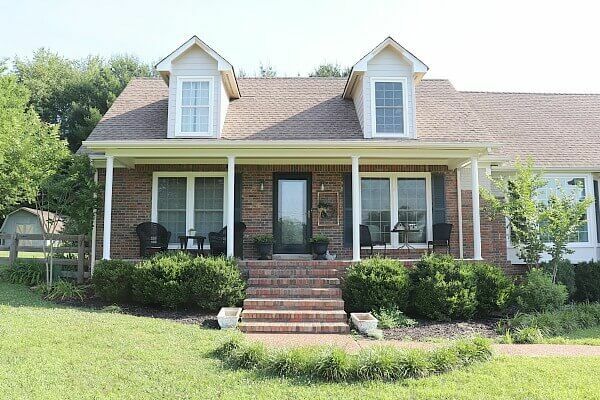 Over the years we’ve made huge progress on the interior of our home, but the exterior was put off again and again until we could finally attack the daunting task of making this over. It’s not a very good feeling to pull up to your home saying “Blech!” until you cross the threshold. This year that’s all about to change! 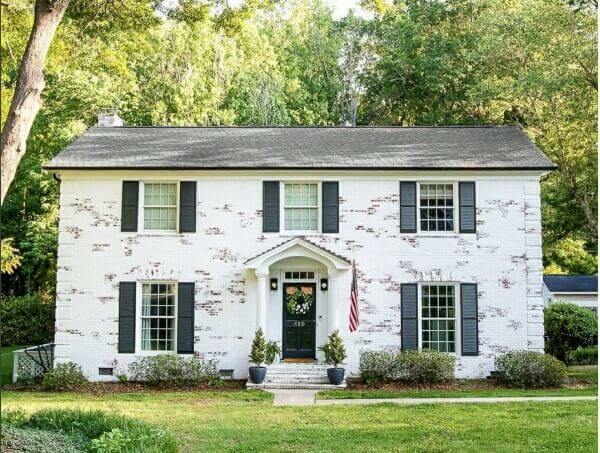 I found inspiration at Lauren at Blesser House with her brick she limewashed last year. I couldn’t get over how beautiful her home looked! After reaching out to Romabio, I ordered some samples to try on our brick. What I found out was exactly what I had been looking for! The amazing thing about painting a sample patch is that the finish is completely removable within 5 days!. So if you change your mind – it’s easy to wash off. But that wasn’t the only selling point that convinced me to give it a try. Romabio offers a product that is user friendly, as well as environmentally friendly. 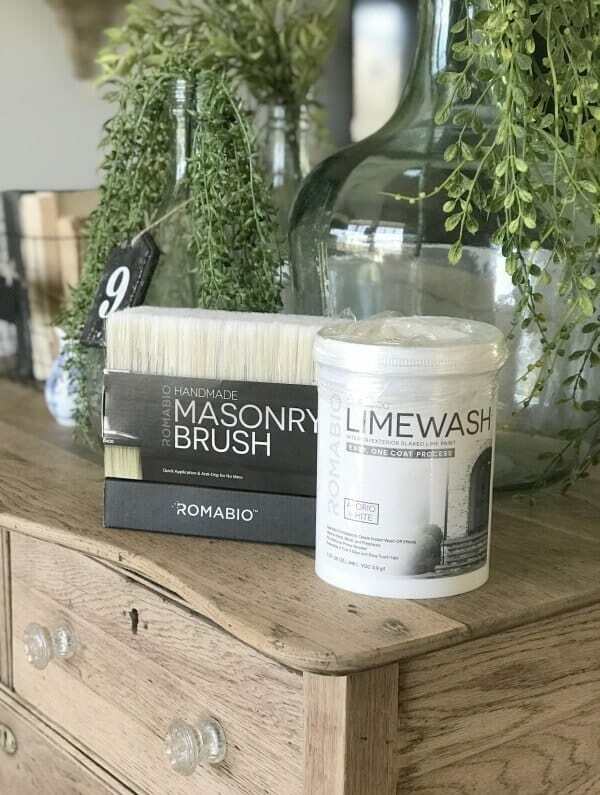 Limewash is known for becoming part of the masonry surface it is applied to, unlike paint which sits on the surface of the brick. After wetting the brick, the limewash is drawn in and calcifies the longer it sits. Which is why we’re limewashing our brick home. 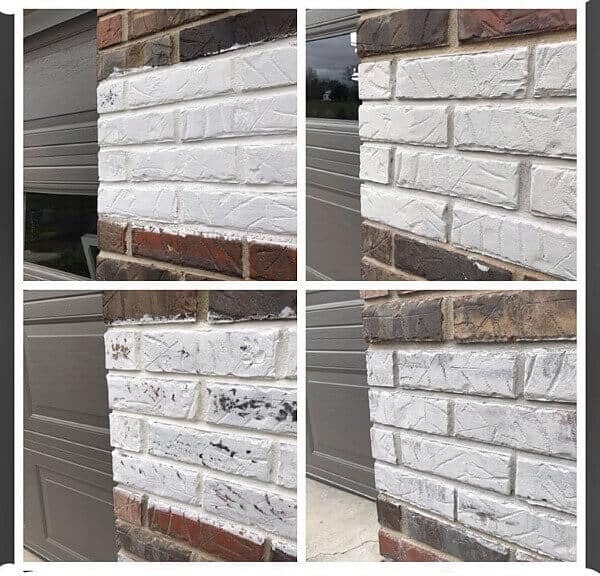 We wanted a technique that was easy to apply, offered coverage and didn’t harm the brick. 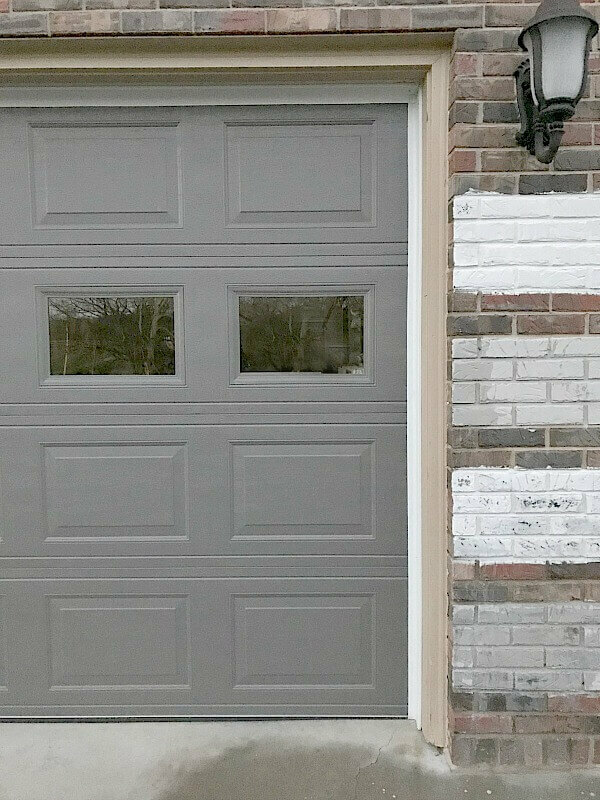 I ordered Romabio’s Avorio White and Nube Gray and applied them next to our garage doors to see which coloring we liked. And one appealing element of limewash is the weathered look you can achieve in application, so I painted each color in solid and then a second patch in the weathered look. The weathered look is created with a thinner dilution rate and strategic removal with water, and I LOVED how that looked. That chalky solid color from Clare and Grace Designs had me swooning! 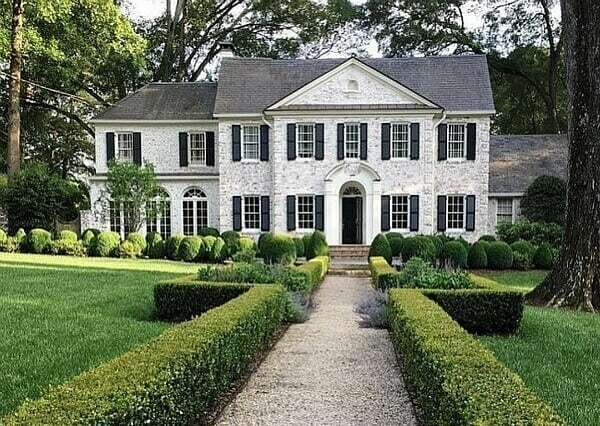 Since our main goal is to cover that ugly orange brick that is mottled throughout my exterior, I opted to completely cover it rather than try and memorize the dark bricks and try to have just those exposed. An impossible feat! So our final choice was Nube Gray in a solid application. 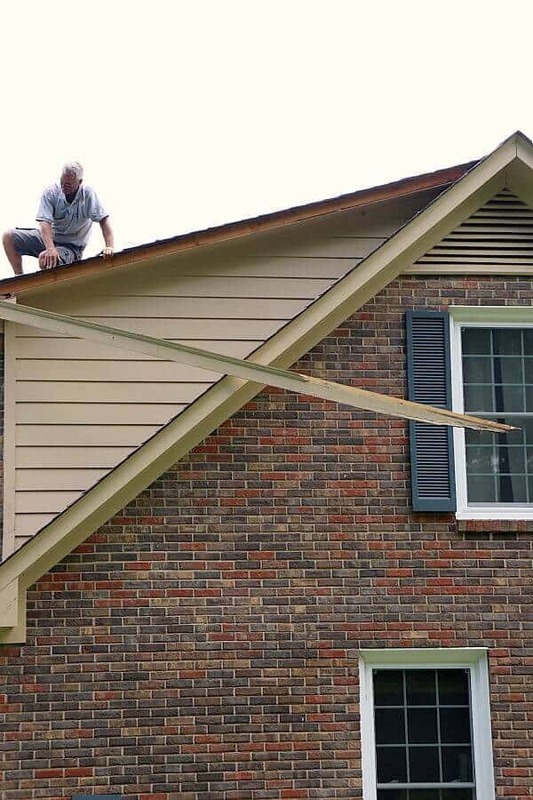 We’ve started with addressing some repairs needed to the fascia. We hope to wrap these areas one day, but for now, we are painting them. Also, we’ve started painting the dormers and it’s neat to see the transformation slowly happen! We have quite the workload ahead of us and a few of those tall peaks are quite daunting, but we are ready to get Romabio’s incredible masonry brush working overtime! So, if you are living with a house that makes you want to keep on driving by, follow along with this transformation we’re embarking upon. And be encouraged that this is a DIY-able task that you can take on – which is why we’re limewashing our brick home ourselves! If you want to check out Romabio’s product – they are now available in select Home Depot Stores, and also online! I love it! Fabulous color you selected. I would be so afraid to do this, for fear I would not like it, but you truly selected the correct color, a it’s gorgeous. 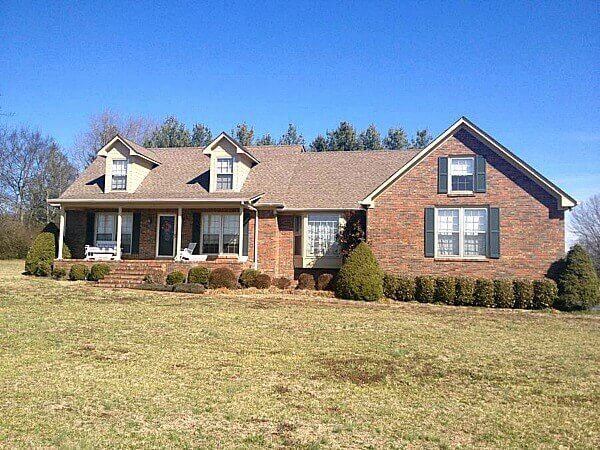 We want to limewash our ranch house and I,m looking for a good gray. Does the Nube Gray match SW’s Collonade gray very well? 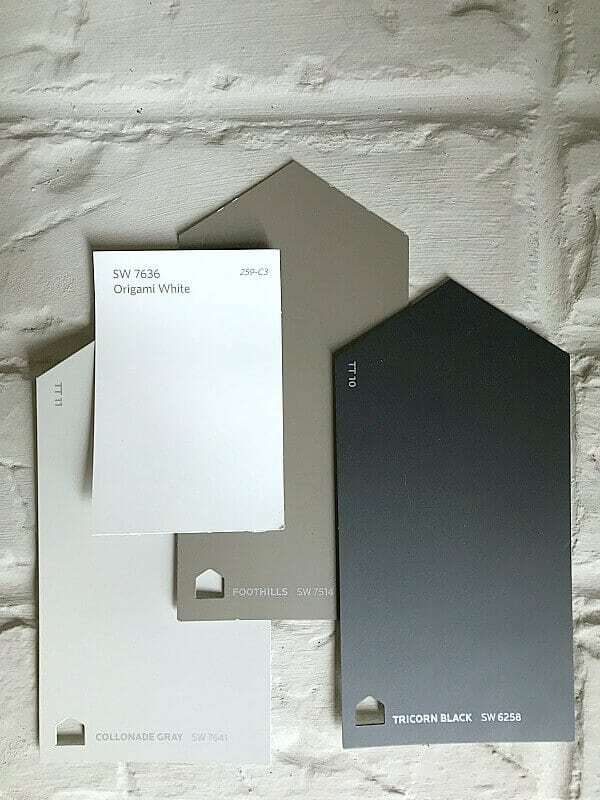 We have siding that I would like to paint to match the Nube Gray. I was told you can spray the limewash through paint sprayer, You use a large oraface and small fan sprayhead, You do two coats they said at the company, Going to paint my house next week, so excited! How exciting! Send us a pic of your before and after so we can applaud your transformation! I found the two colors to be an almost exact match! We loved how the collonade gray looked with the Nube Gray! That is good to know – thank you so much for sharing that! 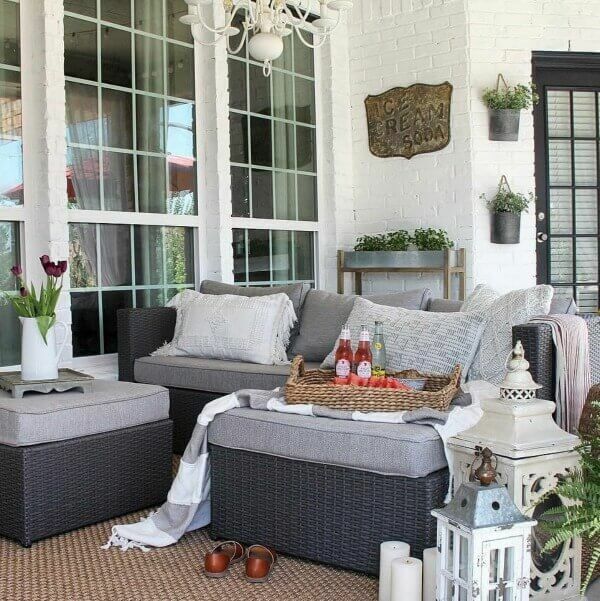 We used Crushed Ice in our entire downstairs of our last house and loved it!